Wow... 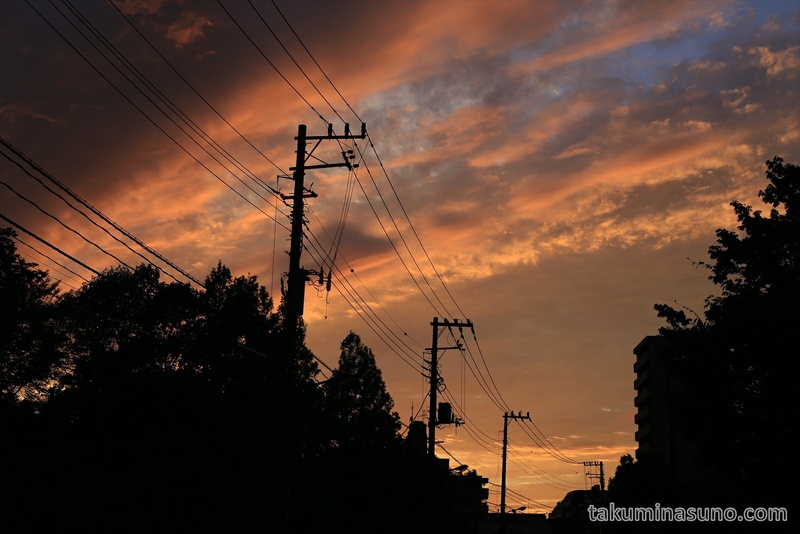 It reminded me of the sunset on the day when I was back in Niigata a week ago. It was really deja vu. Perhaps in September, we can see sunset like this on the day of "rain and later sunny". 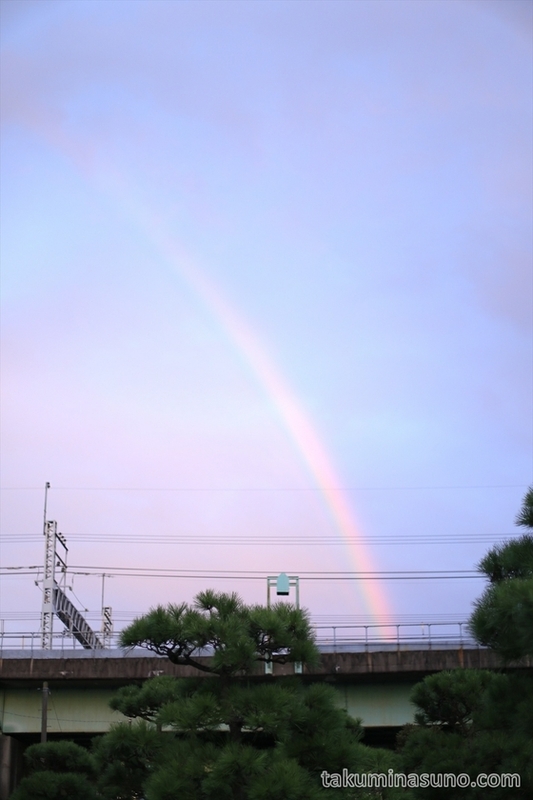 In fact, rainbow appeared clearly minutes ago! After encountering a natural phenomenon like this, you cannot stop having your camera with you while walking in Tokyo.